Hi everyone (again!) 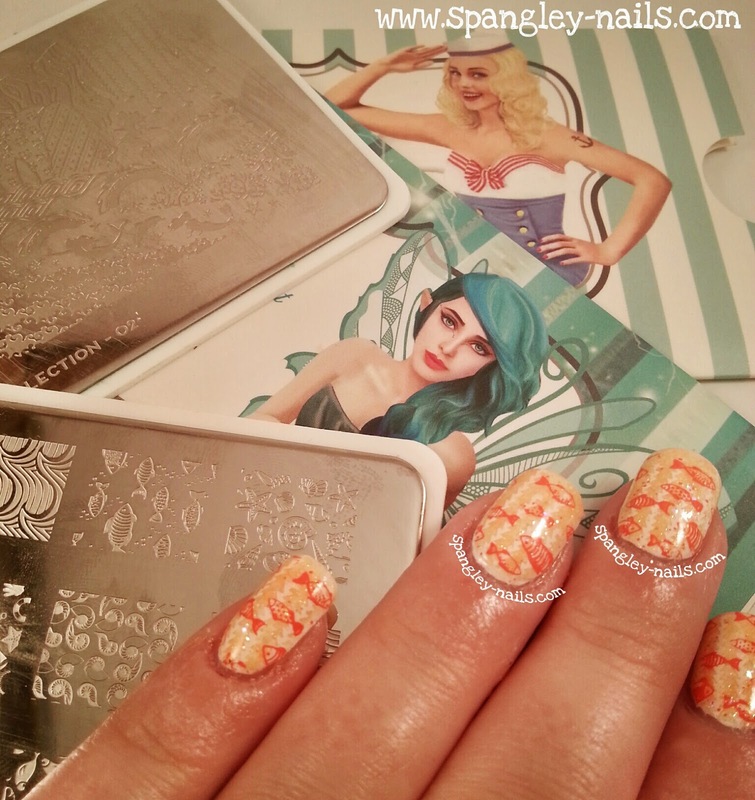 Cracking on with MoYou London's Rainbow challenge, Tuesdays colour was Orange. I struggled coming up with an idea for this one actually. I have one of their Easter plates which has carrots on, but because you can only use the daily colour, black and/or white, my carrots wouldn't have had any green at the top, so I had to 100% think of something else. My boyfriend decided to Google it for me, and was shouting random things at me like Doritos and Garfield, its so easy to say yes, okay, I'll do that - but how to encorporate the MoYou plates?! 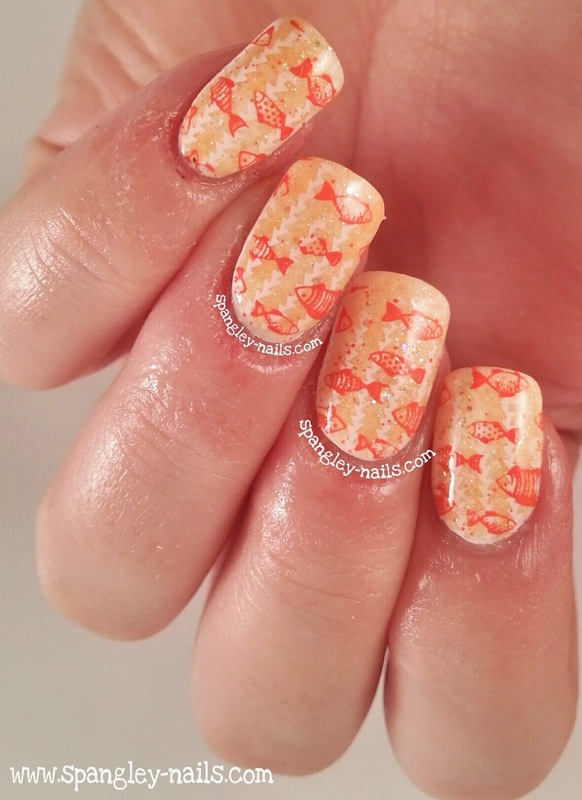 Finally, he shouted an idea, I just simply went with it, and I'm really happy with the outcome - GOLDFISH! I started off by painting my nail with Snow Me White. Then, using Tangy Tangerine and UFO I sponged them onto the white alternating between the 2 - I love this effect. 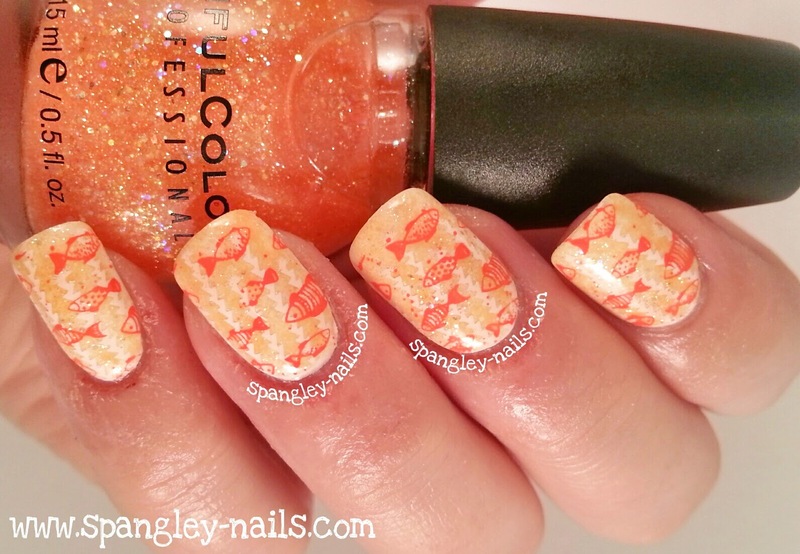 As I wanted to give the "Goldfish in the water" type look, I used Konad White and stamped the coral-y looking stuff from Fairytale Plate 02 on top of my sponged background. 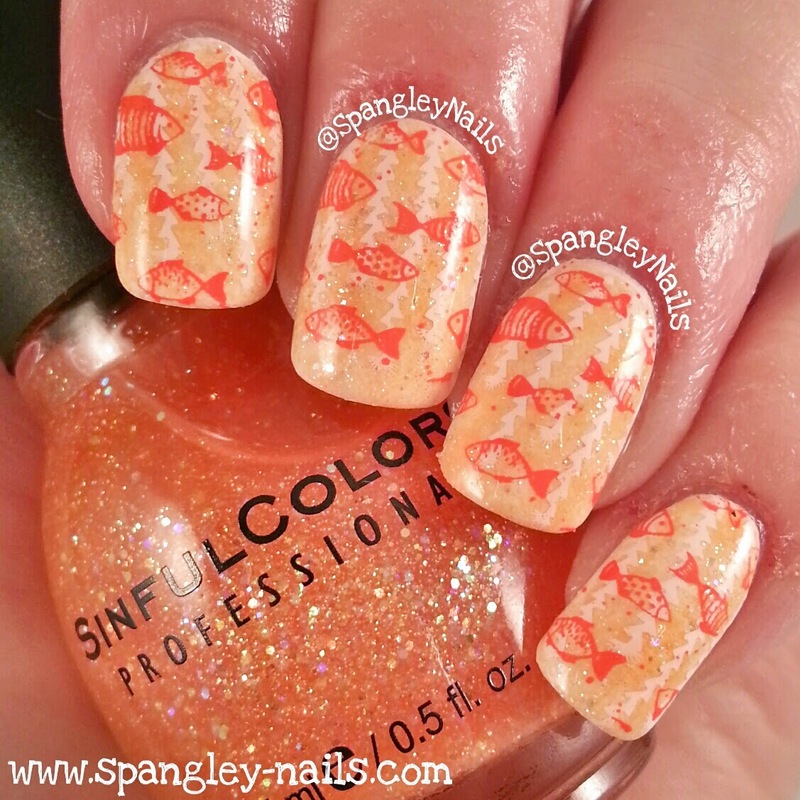 Finally, once that was dry and using Heat Flash, I used Sailor Plate 04 and stamped the Gold-Fish on top. Its all topped off with a coat of Seche Vite.